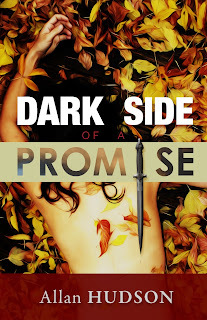 South Branch Scribbler: Dark Side of a Promise - An excerpt. Dark Side of a Promise. The novel! Drake Alexander and his comrade, Dakin Rush, are being followed in another vehicle by the shadiest of characters. Why? “Okay,” Daiken says as reaches down to his ankle, removing Rae’s gun from its holster. He places the Sig on the center console, close to his right hand. He notices the garage is emptying, probably people leaving work. There are no cars going in so he speeds along. Stopping for a ticket at the automated entryway, he removes the slip of paper and the gate slowly lifts. The Land Ranger penetrates the gloomy entrance, many lights are burnt out. The up ramp is to their immediate right and hugs the outer wall; cars are parked inward on the opposite side, at an angle. The outer walls are open, with huge concrete columns every twelve feet, giving some light to the dark interior. Steel rails line the ramp on its climb to keep cars from going over; many are rusted. Drake is looking back as they enter and spies the Isuzu coming around the corner of the building towards the garage. There’s nothing else to say. His concentration is intense, he is going into battle. Catecholamines are hormones that are released by nerve impulses; their receptors are all over his body. His heart rate, pulse, blood pressure, all goes up. His face flushes and invisible caterpillars crawl over his skin. The Toyota reaches the top floor, which is open to the sky. A waist-high patterned concrete wall surrounds the roof. The exit ramp is directly across from them as they clear the entrance ramp. The building is about twenty five meters wide and thirty meters long, there is a twelve meter drop to the ground. There are about a dozen cars sprinkled about. The center parking lanes have cars nose-to-nose. 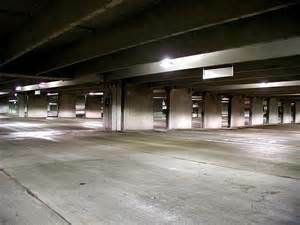 The center and outside lanes are separated by a six- meter-wide right of way that circles the top floor. Stunted shadows creep along the roof as the sun lowers its arc to the west. Dakin swings the big truck around so that the passenger side faces the entrance ramp. The bulk of the Land Cruiser blocks the ingress to the top floor. He turns off the ignition and pockets the keys. Swinging open the door, he grabs his gun jumping from the cab to take cover behind the farthest vehicles to the left. There is an old Mazda quarter-ton truck backed into a slot about eighteen meters away. On the near side of it is a shiny new Smart car, mostly window. It would be poor cover, but still a distraction. He crouches down in the truck bed, which is empty except for a spare tire. Standing the tire up, he uses it for a shield. He can glance through its center while keeping his head covered. He holds his gun steady with his right hand; the left has been dressed and lightly bandaged by the hotel doctor. On it, he wears a paintballer’s glove with the finger tips missing. He wriggles the fingers, feeling lucky they all work. Drake crawls over the console and gets out Dakin’s door right behind him, running to the right toward a 1969 Chevy Impala parked nose out seven lanes back. It’s black, festooned with several shades of primer where its owner has obviously made repairs, auto body camouflage. It’s parked near a bantam Japanese import, which is crowded in on the other side by a light grey, not so new Beemer, facing in. He crouches down at the rear of the Impala, behind the back tire. It is semi-cloaked in the early evening shadows. 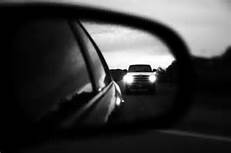 Behind a black car in a dark spot and in his black clothes he’ll be hard to see. He checks the door of the car. It’s unlocked. He closes it gently until he hears it click. He, Dakin and their vehicle form a V at the top floor, leaving anyone coming around the truck an open target. He pulls out his gun, switching off the safety. He is using .45APC hollowpoint cartridges. Used in the M1911 with a 5 inch barrel, the shells are man stoppers. With nearly 500 foot/pounds of bullet energy and large diameter, it will leave a deep and lasting wound channel, lowering his targets blood pressure quickly. It is especially effective on humans. Both men are crouched behind cover. They can hear the Isuzu as it approaches. The groan of the oncoming engine falters as it nears the obstruction at the entrance to the top floor becoming a purr as it idles. Drake and Dakin can hear a discussion behind their vehicle but it is not loud enough to discern what’s being said, it was likely their pursuers debating as to their approach. The defenders align the sights of their weapons on the openings near the Toyota and wait. “So, where’s Hajani now? Where’s Bashara?” The sarcasm shuts Morgan up. Saul opens the case to find a FAMAS bullpup, a French assault rifle. The weapon has the action and magazine behind the trigger, built more into the stock of the gun closer to the shooter’s face. It’s a shorter, lighter assault weapon maintaining a long barrel. Unfortunately the shorter stock makes it more difficult to avoid barrel spray, making it a poor choice for long distance. Today, however, it will be deadly in a confined space. Morgan’s attitude changes as he clutches the rifle. Admiring its stubby design, he says, “I’ve never fired one like this. I’m more familiar with an M16, but I think I’ll catch on quick enough. 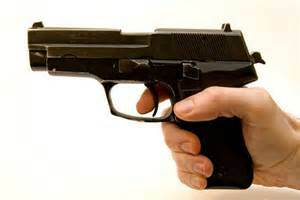 Ah, here’s the safety.” He flips the safety back and forth, puts the gun to his shoulder, aiming out the window. He adjusts his shoulder, his grip for a few seconds, leaving the safety on full auto. brace himself then releases the brakes. The vehicle shoots forward and is going 60 when it hits the Land Ranger. The four-wheel drive Sportivo sports an all terrain push bar mounted on the front bumper. It catches the Land Ranger at the bottom of the passenger door, the towing hooks digging into the rocker panel. It lifts the passenger-side wheels several inches off the floor. It’s like a furious elk digging pronged horns into its opponent’s flank. The door of the Land Ranger buckles like tissue. 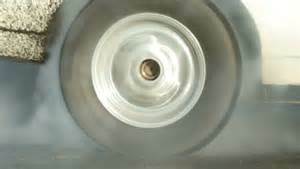 The tires on the driver’s side bubble with the weight and screech as they slide along the concrete until they catch in an expansion joint. The Toyota pitches onto its side, crushing metal and glass, making a horrific noise. The stench of burnt rubber gives the sound more weight. Bunker is relentless and floors the Isuzu, its own tires proclaiming insanity. He bulldozes the whole mess for another twenty feet until the roof of the Toyota smashes into the Chevy Drake is crouching behind. The Chevy caroms into the import, the import into the BMW then everything stops as the rear of the 252i hits the back wall. In the mere seconds before the Ranger hit the Chevy, Drake has scrambled to get away from crashing cars. When he saw they were still coming, he dived under the import and crabbed his way toward the Beamer. The import struck just as Drake was half way through. As he was crawling, splayed out, the car started moving, centimeters over his head. The noise was deafening as metal strained and complained and tires howled. The rear crunched into the side wall, with the front starting to cave in. The front tire of the beamer cut off Drake’s escape route, but he managed to get out from under the car just as everything stopped. He rolls into a kneeling position, hidden behind the rear fender. He listens to the sudden stillness until he hears their voices. One he recognizes. For a few seconds the only noise is glass still shattering and the hissing of steam being released from the Land Ranger’s busted radiator. Morgan had braced his feet on the dash after laying the bullpup across his lap. He had been holding the overhead handle with one hand. He relaxes and sits forward, grasping the gun and resting his arms on his knees. Staring at the crashed cars he looked over at Bunker for a second. Thanks for visiting the Scribbler. Drop by next week when the 4Q Interview features the Ivan "Doc" Holiday. The #1 bouncer in the world. Star of the reality show Roadhouse Rehab.